One of the best days of the year for me as a child was Valentine’s Day. I remember decorating my shoebox for classroom valentines with great care. Since then, I’ve graduated from the shoebox but still love to send and receive valentines. Everyone comes to expect a holiday card, but a photo card for Valentine’s Day would be a pleasant surprise and may be the only photo card that your loved one receives. A year or so ago, I sent a photo card with the minnies’ picture on it to family and friends. My Nana, the minnies’ great-grandmother, remarked that she loved the card and showed it to all of her friends. The picture was so special to her! Be creative with your picture for the card. Children could make a heart with their fingers and hands. Write a message on a piece of paper or card to hold in front of you to take the picture. The possibilities are endless. Shutterfly has some fantastic options for your Valentine’s Day cards. With over 50 new styles with unique color stories and artistic typography in 5 different sizes, there's something that will perfectly match your style. 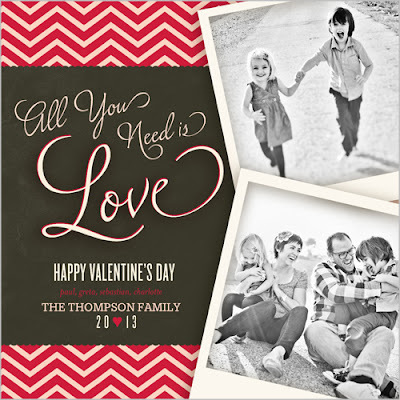 I especially love the Love Chevron Valentine Card and plan to use it this year. The 5 x 5 stationery card is so modern and whimsical. The Striped Love Valentine Card is a perfect choice for a classroom valentine. 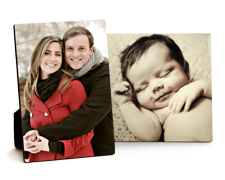 Shutterfly also offers fabulous photo gifts. I love this iPhone case and would put my initial on it. It reminds me of a Lilly Pulitzer print, don't you think? I also adore the desktop plaque from Shutterfly. It's a fun alternative to a traditional frame and brightens any desk. As a special treat, Shutterfly is offering a giveaway to Maryland Pink and Green readers. One lucky reader will receive 50 4x5 stationery classroom cards and 5x5 desktop plaque. There are many ways to enter to win. For the mandatory entry, please Shutterfly’s Photo Gifts landing page and leave a comment on that page with your favorite design. Then use the widget to register your entries. You can find out the latest scoop from Shutterfly on various Social Media outlets. Thank you to Shutterfly for this opportunity! I received the same giveaway prize that is being offered in exchange for this post. I like the photo jewelry and cards. I sent cards of my little out last year too and they were so precious. I need to find the time and do it this yer too. Would love to have a mug with my little guy's mug on it. 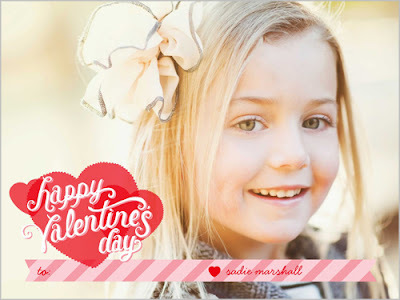 =) Love those photo Valentines! Their mugs are my favorite! They were a big hit around Christmas time with my family. I love the personalized fleece blankets! So neat! I love the phone cases no need a cute one and that one does look like an LP one! I like the Photo Cubes. the blankets are so sweet! I love shutterfy's photo books. I make a new one after every mission trip to commemerate the experience! I love the blankets! We have a great new family photo that would be perfect in blanket form. Another great giveaway! Thank you for hosting!!!! I love the iPhone case. The iphone cases are SO cute. As for the cards, that washi tape card is super cute! Love all your giveaways! I love the washi tape looking card and I think the iphone case is SUPER cute. Love all of your giveaways! STICKERS & BLANKET!!! Im getting married in May and I love the blanket. Instead of a card with 1 photo they can have a book with many!